A slight adjustment of the dates of the Scholastic Theology Summer Program which I mentioned recently has been made necessary. The new dates, fixed now and confirmed, are June 18 - June 30. Here is a quick overview of the program calendar. See the official website for more details. 18 June, Monday: Arrival Day. 19 June, Tuesday: Academic Day. 20 June, Wednesday: Academic Day. 21 June, Thursday: Optional Trip to Assisi. 22 June, Friday: Academic Day. 23 June, Saturday: Academic Day. 24 June, Sunday: Morning in Norcia - Optional Trip to Cascia in the Afternoon. 25 June, Monday: Academic Day. 26 June, Tuesday: Academic Day. 27 June, Wednesday: Academic Day. 28 June, Thursday: Optional Trip to Rome. 29 June, Friday: Feast of Saint Peter and Paul in Rome. 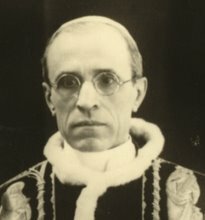 "One of the most tragic failings that the Church has suffered in the second half of the twentieth century is to have neglected the gift of the Holy Spirit in the sacrament of penance. In us priests, this has caused a tremendous loss of spiritual profile. When the Christian faithful ask me, "How can we help our priests?" I always reply, "Go to them to confess." 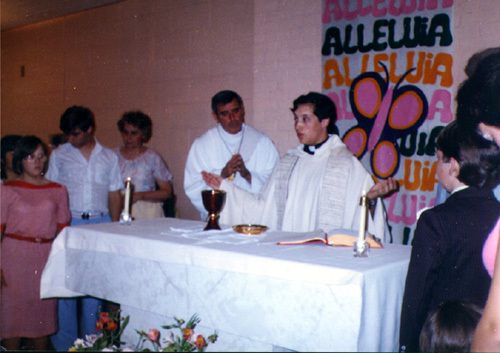 When the priest is no longer a confessor, he becomes a social worker of a religious kind. 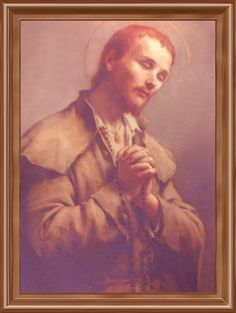 In fact, he lacks experience of the greatest pastoral achievement, of working together so that a sinner, thanks also to his help, leaves the confessional newly sanctified. In the confessional, the priest can penetrate into the hearts of many people and, from that, encouragement and inspiration may result for his own following of Christ. Therefore, it is not sufficient in our pastoral work just to want to make corrections to the structures of the Church, to make it appear more attractive. It is not enough! What is needed is a conversion of heart, of my heart. Only a converted Paul could change the world, not an expert in "ecclesial engineering." 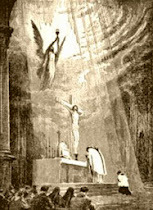 The priest, with his being assimilated to the form of the life of Jesus, is so inhabited by Him that Jesus becomes perceptible by others in the priest. The biggest obstacle preventing Christ being seen through us is sin. It prevents the presence of the Lord in our lives and for that reason nothing is more necessary to us than conversion - also for the purposes of the mission. 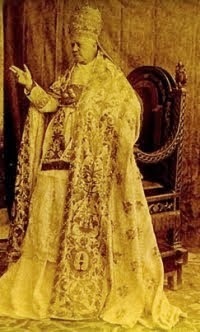 It is a matter, in short, of the sacrament of penance. 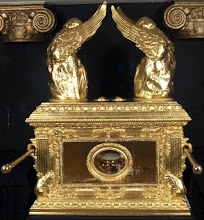 A priest who does not frequently take his place on one and the other side of the grille of the confessional suffers permanent harm to his soul and his mission. Here certainly lies one of the major causes of the manifold crisis in which the priesthood has come to find itself in the last fifty years. The very special grace of the priesthood is precisely that the priest can feel "at home" on both sides of the grille of the confessional: as penitent and as minister of forgiveness. When the priest distances himself from the confessional, he enters into a grave identity crisis. The sacrament of penance is the privileged locus for the deepening of the identity of the priest, who is called upon to make himself and believers return to draw upon the fullness of Christ. If there were nor sinners, who need forgiveness more than daily bread, we could not precisely know the depth of the Divine Heart. The Lord points it out explicitly, "I tell you, there will be more rejoicing in heaven over one sinner repenting than over ninety-nine upright people who have no need of repentance" (Luke 15:7). Why ever- we ask ourselves once again - does a sacrament that stirs such great joy in heaven evoke such antipathy on earth? The reason is our pride, the constant tendency of our heart to fence itself in, to be sufficient unto itself, to isolate itself, to close in on itself. For this reason, the spiritual maturity to receive priestly ordination by a candidate for the priesthood, in my opinion, becomes evident from the fact that he regularly receives - at least as often as once a month - the sacrament of penance. Indeed, in the sacrament of penance, I meet the merciful Father with the most precious gifts He has to give, namely the "giving," the forgiving and the giving of grace to us. But when someone, precisely because of his rare attendance at confession, says in fact to the Father, "Keep Your precious gifts for Yourself! I don't need You or Your gifts!" then he stops being a child, because he excludes himself from the fatherhood of God, because he does not want to receive His precious gifts. 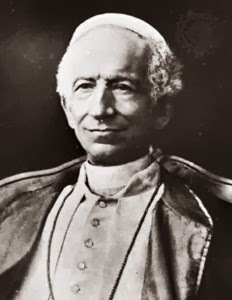 And if one is no longer a child of the heavenly Father, then he cannot become a priest, because a priest is, first and foremost, the son of the Father through baptism, and then, through priestly ordination is, along with Christ, son with the Son." For the past month, I have been slogging through Alyssa Lyra Pitstick's monumental tome Light in Darkness, subtitled, "Hans Urs von Balthasar and the Catholic Doctrine of Christ's Descent into Hell." It is a massive work, but tremendously thorough and takes on von Balthasar like few in the post-Conciliar Church have been willing to do. Balthasar is most known, of course, for his idea that we may reasonably hope that hell may be empty, but Pitstick takes the fight to the heart of Balthasar's theology: his doctrine that Christ was abandoned by the Father and suffered the pains of hell on Holy Saturday. As Pitstick demonstrates, this theology of the "Descent" is actually central to all of Balthasar's theology and actually serves as the premise upon which he will build his conclusion that we may hope for universal salvation. I have not finished the book yet, though I am drawing close. Even so, I can say that Miss Pitstick has done us all a tremendous service in putting this work together. 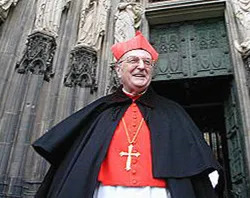 I for one an appalled that so many otherwise orthodox individuals in the Church, from theology professors right on up to John Paul II and Benedict XVI, find Balthasar's theology credible. I dismissed his "hope for universal salvation" theory as completely contrary to our tradition about two seconds after somebody explained it to me, and it mystifies me that so many other learned persons continue to dally with it. But Pitstick's book does more than expose the flawed thinking behind Balthasar's empty hell theory - it exposes him as heretical (or at least extremely counter to tradition) in his Christology, soteriology, Trinitarian theology, sacramental theology, ecclesiology and almost every other area across the theological spectrum, leading the reader to the conclusion that, not only is Balthasar mistaken on his empty hell hypothesis, but his entire corpus of theology is extremely questionable and that this man is far from the trustworthy theologian that Ignatius Press and many in the Magisterium would have us believe. "Sin is nothing else than a bad human act. Now that an act is a human act is due to its being voluntary, as stated above, whether it be voluntary, as being elicited by the will, e.g. to will or to choose, or as being commanded by the will, e.g. the exterior actions of speech or operation. Again, a human act is evil through lacking conformity with its due measure: and conformity of measure in a thing depends on a rule, from which if that thing depart, it is incommensurate" (STh, I-II, Q. 71, art. 6). Here we see Thomas stating that sin is an act that falls short of a standard ("due measure"); in other words, it is a lack of the good, a privation of something that ought to be, although Thomas is careful to explain that sin is not a "pure privation" (I-II, Q. 72, art. 1); in other words, to say it is a privation is not to say that sin is "nothing." Sin is "a word, deed, or desire, contrary to the eternal law" (I-II, Q. 71, art. 6), "an act deprived of its due order"; since all creatures desire the good, truly or mistakenly, sin occurs when a lesser, perceived good is substituted in place of the eternal good. This act falls short, is defective of perfection, but is nevertheless a real act, though an act whose nature is to be sinful by defect. Thus, sin as an act willed by the sinner is certainly a reality, but it has no ontological existence, nor could it, being understood as a privation. "The act [of sin] is something positive. The sinner intends here and now to act in some determined matter, inordinately electing that particular good in defiance of God's law and the dictates of right reason. The deformity is not directly intended, nor is it involved in the act so far as this is physical, but in the act as coming from the will which has power over its acts and is capable of choosing this or that particular good contained within the scope of its adequate object, i.e. universal good" (source). 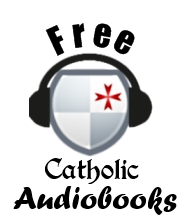 The Catechism of the Catholic Church will also use terms that present sin as a privation; it is a "failure", a "wound" (CCC 1849), the latter of which was a popular term in antiquity and the Middle Ages to explain the concept - just as a wound or sickness is the privation of health, so sin is the privation of the good. Most readers of this blog are familiar enough with the traditional doctrine of sin as a privation that I don't think I need to cite any more sources to establish it. This is an important point, however, because Balthasar will go on to misinterpret the traditional approach taken by St. Augustine and St. Thomas to mean that sin is "nothing." He will state that the idea of sin as a privation does not adequately grasp the reality of sin's horror. It stands to reason that, since a privation does not have ontological existence, it cannot be objectively separated from the subject in which that privation is found. One cannot have sickness in and of itself apart from a subject who is sick (we may have a cancer cell isolated in a test tube, but that is not sickness. Sickness does not arise until that cancer attacks a human host, who, as a person, becomes sick due to the absence of health brought about by the cancer). Similarly, we cannot isolate sins from the sinner. The way sin must be handled is to be "washed away", "blotted out" or "expiated" in the context of the restoration of the sinner himself. A piece of wood with a hole in it cannot be repaired by trying to remove the hole from the wood; the hole must be filled in the context of the wood, because a hole can only exist in something. "It is possible to distinguish between the sin and the sinner...Because of the energy that man has invested in it, sin is a reality, it is not 'nothing.'" (Theo-Drama, vol. V, pp. 266, 314). "[Sin] has been isolated from the sinner...separated from the sinner by the work of the Cross" (ibid., 285, 314). 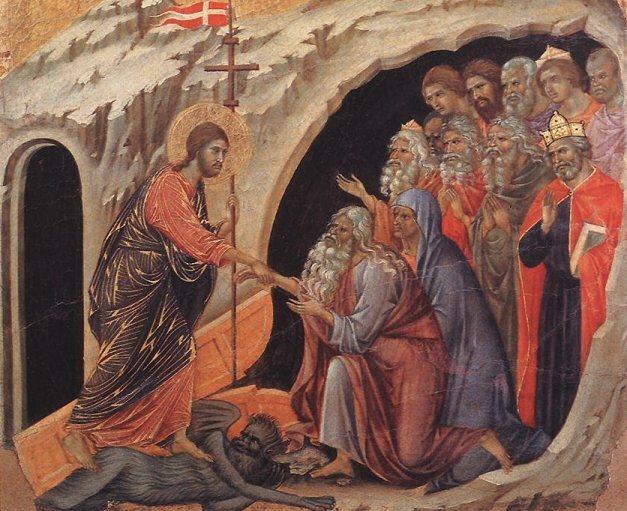 "Holy Saturday is thus a kind of suspension, as it were, of the Incarnation, whose result is given back to the hands of the Father and which the Father will renew and definitively confirm by the Easter Resurrection" ("The Descent into Hell", Spirit and Institution, Explorations in Theology, vol. IV, pp 411-412). 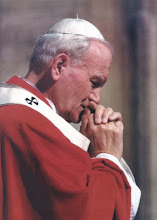 "[The sinner's] hope can only cling blindly to the miracle that has already taken place in the Cross of Christ; it takes the entire courage Christian hope for a man to apply this to himself, to trust that, by the power of this miracle, what is damnable in him has been separated from him and thrown out with the unusable residue that is incinerated outside of the gates of the Holy City" (Theo-Drama, vol. V, 321). The language of the sinner clinging "blindly" to an act that has already taken place reminds one of the Protestant jargon of "resting in God's finished work"; as with Luther, the sin of man is separated from him and placed on Christ, who in turn bestows upon us righteousness. The difference between Balthasar and Luther here is that Balthasar appears to make the operative principle the virtue of hope rather than faith. 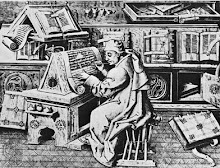 Balthasar vehemently denied that his soteriological doctrine was Lutheran, because he emphasized charity and hope along with faith and thus technically did not teach "faith alone" (and Balthasar emphasized the redemptive nature of the Descent, something Luther ignored), but in practice, it seems that Luther and Balthasar are very close together here inasmuch as they both agree in sins being abstracted from the sinner, "loaded" upon Christ who is then punished with God's wrath, and the sinner appropriating the righteousness of Christ by faith-hope in a finished work that has already been completed. There is so much more we could point to with Balthasar, but here I merely wanted to show how he breaks from Catholic Tradition not only in his teaching of an empty hell, but on many other things as well; in this case, the idea of sin having a positive existence that can be abstracted and separated from the man, as opposed to the traditional Catholic idea of sin as a privation. I highly recommend Pitstick's book. I will also probably do some more stuff on Balthasar in the future on here because his teachings are so pernicious. I knew he was questionable, but until I read Pitstick's book, I did not understand how truly horrific and contrary to Tradition some of his concepts really are.